1. 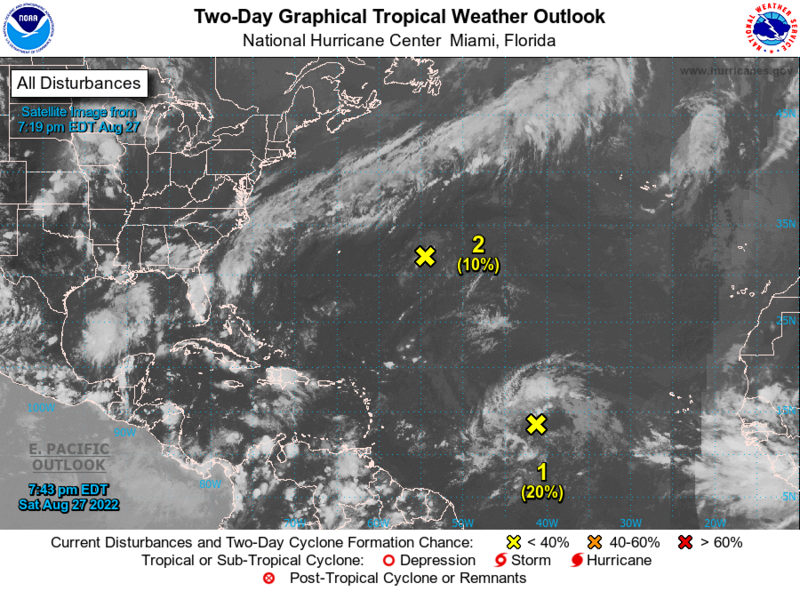 A vigorous tropical wave located about 200 miles east of the Leeward Islands is producing a large area of disturbed weather over much of the western tropical Atlantic Ocean. Shower and thunderstorm activity has increased and become a little more concentrated this morning, and environmental conditions are forecast to gradually become more conducive for the development of a tropical depression or a tropical storm during the next day or so. The disturbance is forecast to move westward to west-northwestward for the next few days, passing near or north of the Leeward Islands, Puerto Rico, Hispaniola, and the southeastern Bahamas. Interests in these areas should closely monitor the progress of this system. * Formation chance through 48 hours...medium...50 percent. * Formation chance through 5 days...high...90 percent.